Dogon bangles, four individual bangles make up this group of Dogon jewellery. Dogon bangles, a group of four individually patterned Dogon bangles. Diameters of these bangles range from 7 – 8cm. Made of a metal composite and due to age there is the appearance of some oxidization on two out of the four but this doesn’t detract at all from the interesting appeal they have. Markings of vertical lines and arrow shapes to one of the bangles, a chequer board effect on another, the third having a slight break in the bangle and the fourth due to age decay has lost most of its patterning but does have a raised detail that possibly symbolized a creature at some time in this bangles history. 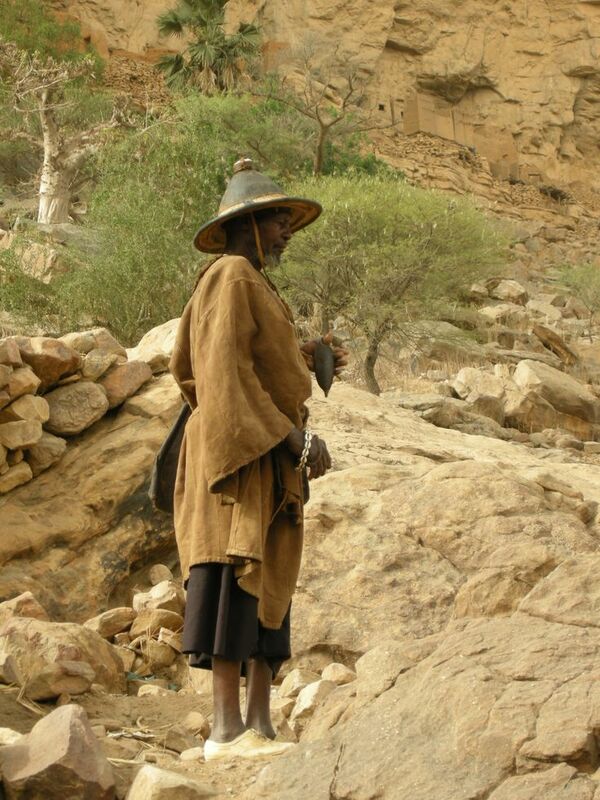 Among the Dogon jewellery often serves as much more than just a personal adornment or fashion accessory. It is known that jewellery items such as bracelets, rings and necklaces signify that the owner is or may be linked to ancestors or spiritual leaders. Items of jewellery are also used to identify the wearer as a priest or caretaker/keeper of a particular altar. Metal workers know as ‘blacksmith’ are famed for their extraordinary construction of jewellery. Many of these designs include bearded figures, sun, stars, snakes, rabbits and monkeys.